With the assassination of JFK in Dallas in November 1963 and the fall of Cuba to Communism, America entered a new chapter in its history. It was also a time when the American mob entered a new chapter. It was a mob no longer defined by the once unyielding code of omerta of the Sicilian code of silence ... A mob no longer led by the colorful characters that saw its rise from the Roaring 'Twenties through the Depression to the Cold War. 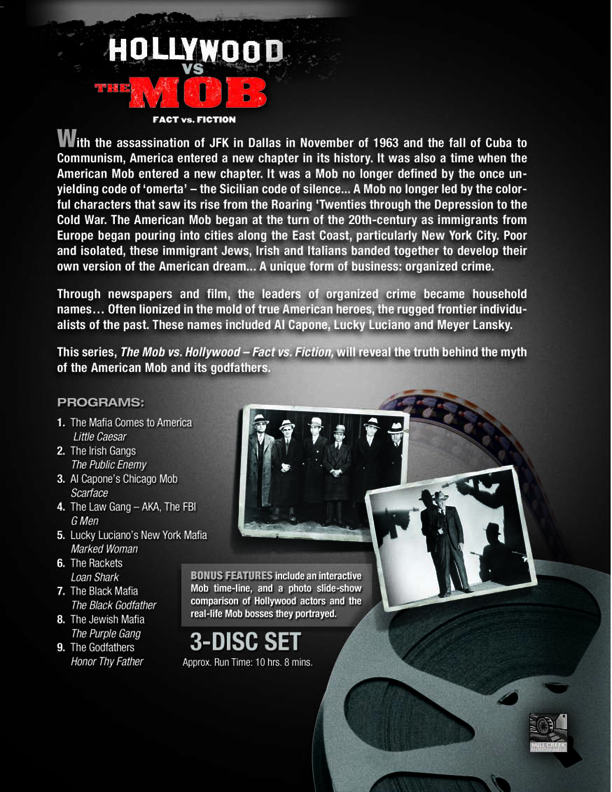 The American mob began at the turn of the 20th-century as immigrants from Europe pouring into cities along the East Coast, particularly New York City. Poor and isolated, these immigrant Jews, Irish and Italians banded together to develop their own version of the American dream ... A unique form of business: organized crime. Through newspapers and film the leaders of organized crime became household names. Often lionized in the mold of true American heroes, the rugged frontier individualist of the past. These names included Al Capone, Lucky Luciano and Meyer Lansky. 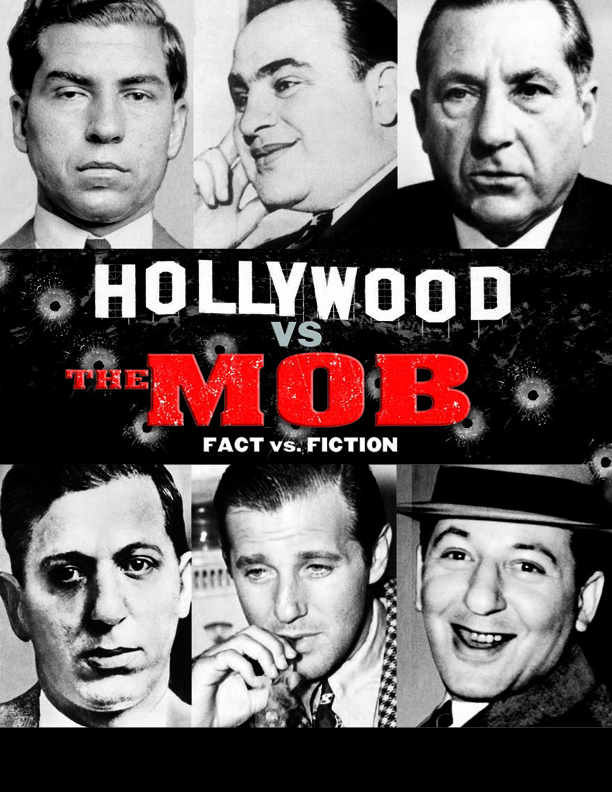 In this series, The Mob and Hollywood will use 10 classic Hollywood films to reveal the truth behind the myth of the American mob in its heyday before the 1960s.